Campaigners have warned Romania to abandon plans they say threaten the indepedence of a key media outlet. Senators have approved a draft law that would place AGERPRES, the country’s first news agency, under political control. Current legislation sees the news agency’s director general given a five-year term and its impartiality protected. But the changes approved by the culture committee of the Romanian senate would allow a majority of MPs to dismiss him or her. Critics say the law, if approved by MPs, would be a huge step backwards and see Romanian public media become the state’s press office. 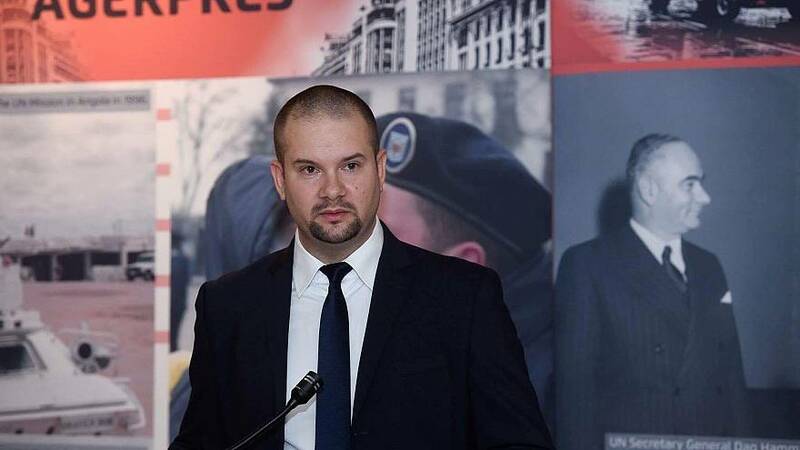 Alex Giboi (pictured, above), acting director general, said: “Not even the alert published by the Council of Europe on its press freedom platform was able to stand in the way of the need for political control manifested by the draft law’s initiators. “What is clear now is it’s the politicians’ plan to further modify AGERPRES’ law. If this first huge step back in time means modernising, I am really afraid of what could follow. The European Federation of Journalists (EFJ) said it calls on the Romanian government to drop the plans. It added in a statement: “We believe that the proposed modification opens the path to a political subordination of the AGERPRES management. “Any political force could find that the director-general is not ‘loyal’ enough to the government, regardless of the quality of the work, for political reasons only. Romania used to be the worst in Europe for media freedom, but latest rankings by Reporters Without Borders (RSF) put the country above Italy, Malta and Hungary.